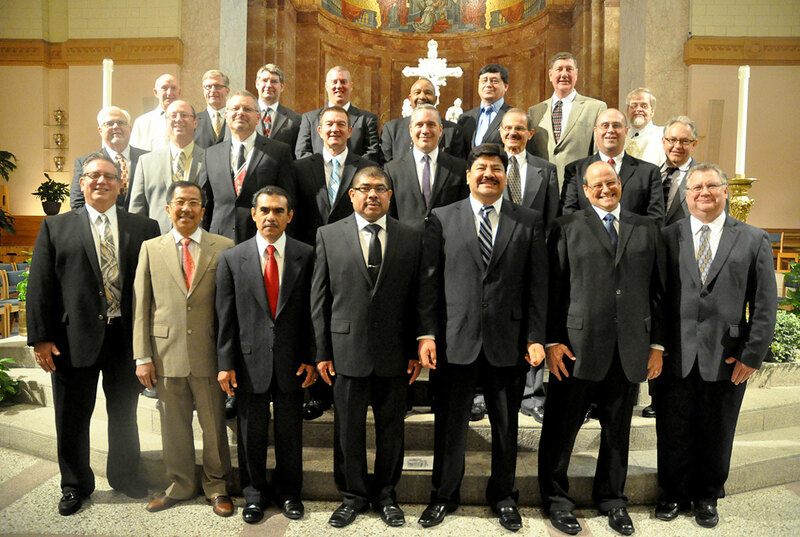 Ten years ago, 25 men from across central and southern Indiana began a formation program through which they would be ordained in 2008 as the first permanent deacons in the history of the Archdiocese of Indianapolis. A decade later, a third group of men—21 this time—were received as candidates for the diaconate by Archbishop Joseph W. Tobin during a Sept. 27 Mass at SS. Peter and Paul Cathedral in Indianapolis. In the 10 years since the deacon formation program began, deacons have ministered in parishes across central and southern Indiana. Their presence has affected the vocational discernment of the men currently in formation. This is especially true for deacon candidate Matthew “Tom” Scarlett, a member of St. Vincent de Paul Parish in Bedford, who has observed the life and ministry of Deacon David Reising in the Bloomington Deanery faith community for the past six years. Although Deacon Reising was part of the first class of deacons and has seen another group ordained and other deacons move into the archdiocese, he’s still excited by seeing new men step up to answer God’s call to the diaconate. Father Clement Davis, pastor of St. Bartholomew Parish in Columbus, has witnessed up close the effects of the diaconate on parish life. St. Bartholomew has had four men ordained deacons who are ministering there and in other parishes. Two more men from the parish are in the latest formation class. “These are men who have been very dedicated, very active in the life of the Church,” Father Davis said. 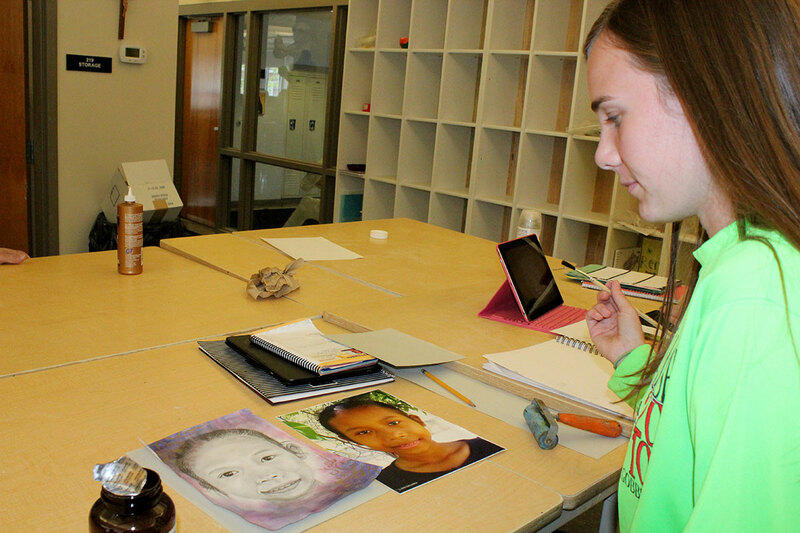 “They’ve given of themselves and their time. Now, they’re not just being recognized for that. But, on the basis of that, they’re being called to this ordained ministry in the Church. In his homily at the Sept. 27 Mass, Archbishop Tobin reflected that deacons are called, however, not simply to enhance a parish community through their life and ministry, but the broader community as well. He also noted that the broad effect that deacons can have on the Church and the world can come about through their lives as husbands and fathers. After the Mass, deacon candidate Oliver Jackson was excited by this latest step forward in his deacon formation. Cora Jackson, Oliver’s wife of 46 years, shared her husband’s enthusiasm. Deacon Kerry Blandford was glad to see the excitement in the latest group of men to be formed for the diaconate, a class that is scheduled to be ordained in 2017. 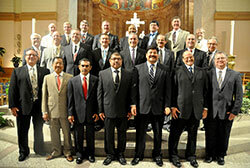 Deacon Blandford, archdiocesan director of deacon formation, was a member of the first class of deacons ordained in 2008. “These are the guys who will carry on after the first group of deacons begins to retire,” Deacon Blandford said. “You begin to see that the order of deacons, just like the family, continues to grow.